A new online assessment that automatically scores your relationship’s strengths and challenges. and your counselor will be the only person to see your responses. The Gottman Relationship Checkup is a breakthrough in couple’s therapy as it allows for a confidential, efficient way for your counselor to complete the evaluation process. By using this new technology, your assessment can be done at any time and in the setting of your choice! Upon completion, it automatically provides valuable clinical information by pinpointing specific strengths and challenges in your relationship, while also suggesting actionable, research-based recommendations for therapy. RESULTS. You can feel confident in your results. Dr. John Gottman is the world’s most trusted and credible relationship expert. Drs. John and Julie Gottman created this research-based assessment in collaboration with The Gottman Institute to help couples build a personalized treatment plan with their counselor. Developed from over 40 years of scientific research by Dr. John Gottman, this relationship assessment tool relies on intensive, detailed, and evidence-based information on why relationships succeed or fail. You will learn, based on research and data, what needs to happen in your relationship so that it will succeed. Option 1: Contact me by phone or email and tell me that you would like an invitation to take The Gottman Relationship Checkup with your spouse. I will then send you an email to complete your basic demographic and payment information in my online client portal. The payment will be processed before you receive your invitation. I will then send each of you a separate email inviting you to take The Gottman Relationship Checkup. When you have both completed your individual questionnaires, I will be notified and will be able to securely log in to review your scores and the analysis of your relationship. After I review your scores and the analysis of your relationship, you will receive a personalized summary PDF report from me, with specific recommendations and exercises to strengthen your marital relationship. You will receive the report in 1-2 weeks. You will also receive a PDF document of trusted marriage resources. Option 2: Contact me by phone or email and tell me that you would like an invitation to take The Gottman Relationship Checkup with your spouse. I will then send you an email to complete your basic demographic and payment information in my client online portal. The payment will be processed before you receive your invitation. I will then send each of you a separate email inviting you to take The Gottman RelationshipCheckup. When you have both completed your individual questionnaires, I will be notified and will be able to securely log in to review your scores and the analysis of your relationship. After I review your scores and the analysis of your relationship, I will contact you to schedule a 90-minute, face-to-face session in my office to review the results and discuss the specific recommendations and suggest a treatment plan for improving and strengthening your relationship. You will also receive a separate PDF document that I have personally put together with trusted marriage resources. Option 3: Schedule an initial one-hour, face-to-face marriage counseling appointment with me. 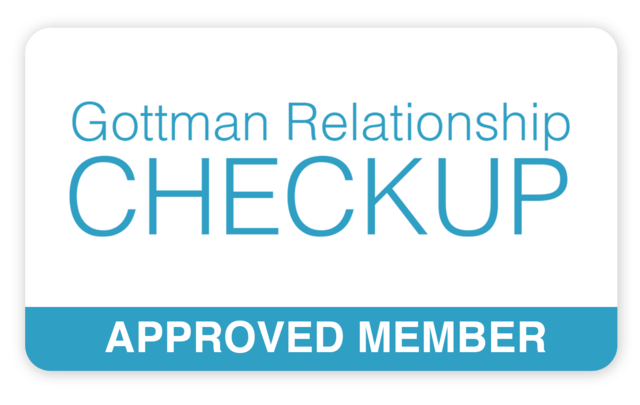 During our initial meeting, I will send each of you a separate email inviting you to take The Gottman Relationship Checkup. When you have both completed your individual questionnaires, I will be notified and will be able to securely log in to review your scores and the analysis of your relationship. We will review the results and discuss specific recommendations and the suggested treatment plan during each of the proceeding scheduled sessions. You will also receive a separate PDF document that I have personally put together with trusted marriage resources.